I had the pleasure of attending a conference this weekend on the topic of the reliability and historicity of the documents of the New Testament. At the conference, I heard a story that really got my goat though. I was told that there were some in the Christian community that were advising against developing age-appropriate apologetics materials for children. They were afraid that a curriculum with such an emphasis might create doubt in children. What?! Excuse me while I look for that soapbox of mine …. One of the topics covered by the panel of Biblical scholars was the handful of discrepancies in the accounts of Jesus’ life and death in the four Gospels. My ministry partner Hillary was there too, and we agreed that parents need to be discussing these differences with their kids from an early age. Children need to hear it at home first, from their parents, before they are caught off guard with it later on, like in college. Why? Because it is something that can be resolved (after all, those discrepancies have been in the text since 2000+ years ago – something that actually gives credibility to the idea that the church was very careful to preserve the original accounts). They need to be shown that they do not have to be afraid of these discrepancies and that there are answers for them. Of course, there are levels of understanding. 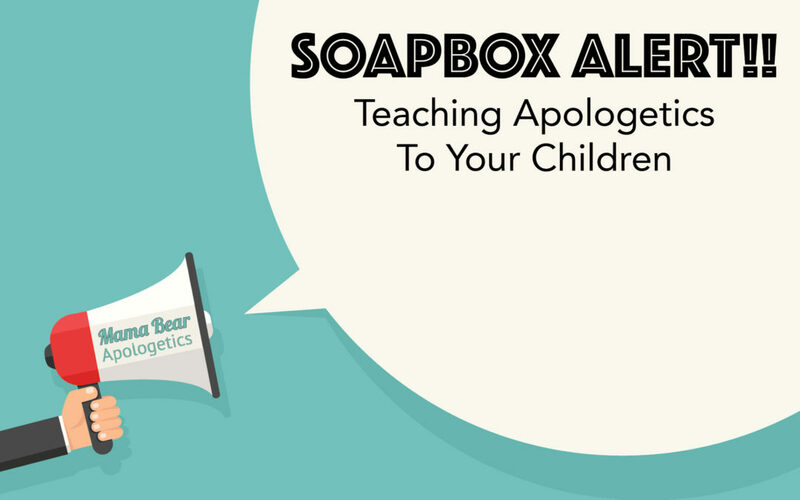 There are many controversial topics in apologetics that are beyond what young children’s minds can readily embrace. Still, it is naive to think that they don’t already have questions. Hillary has a saying that she is constantly saying to parents: “Questions are good. Unanswered questions develop into doubt if ignored. Doubt left to solidify becomes unbelief which is much harder to reverse.” I know I certainly had them and my girls have asked penetrating questions when my husband and I have given them the opportunity. Case in point, one day my youngest (five years old at the time) put a drawing of her and God on the hall table. She told me that I couldn’t move it because she wanted God to “come and get it.” Wow! Hiddenness of God right out of the gate! Of course, there are ways to answer her that would be confusing and far beyond her understanding. Still, there most certainly are ways to answer that she can grasp. Yes, young children tend to follow by example more than anything, so it is important to be a living, breathing, praying, obeying, serving, loving, and humble example of Christian truth to them (and really to everyone, not just children). Head knowledge divorced from application and devotion is very unhealthy. But, I submit that applications and devotionals based on shallow understanding is setting up children for doubts later on. I speak from personal experience. Imagine how powerful a combination of all of these aspects of the Christian life would be! Apologetics merely means teaching your children – at an appropriate level – that they can trust the documents of their faith, the account of Jesus’ Resurrection, the transmission of the texts from the first century to today, that science supports the existence of a Creator, the philosophical and Scriptural basis of His attributes, why bad things happen (introduction to the problem of evil), etc. It is a gift that you can adapt for your children at any age! So here we pose a challenge: get in the habit of asking your children if they have any questions about Christianity. How often you do this is up to you. I will guarantee you that you will be surprised (and impressed) by their questions. Children are a lot smarter than we give them credit for. If you can’t answer the question, just admit to them that you can’t! It’s a great opportunity to model a strong faith – that you aren’t afraid of questions – that your faith can withstand not knowing everything (and it should …)! Tell them that you will find an answer for them or even have them look for it with you (get out that iPhone – there are an embarrassment of riches at our fingertips these days in online apologetics ministries). So, as a parent, there is no reason to be afraid of teaching your young ones age-appropriate apologetics! They will thank you for it one day. Your own faith might grow as a result, as well. That’s a win-win in my book. Plus, I will be able to get rid of this soapbox …. Yes! 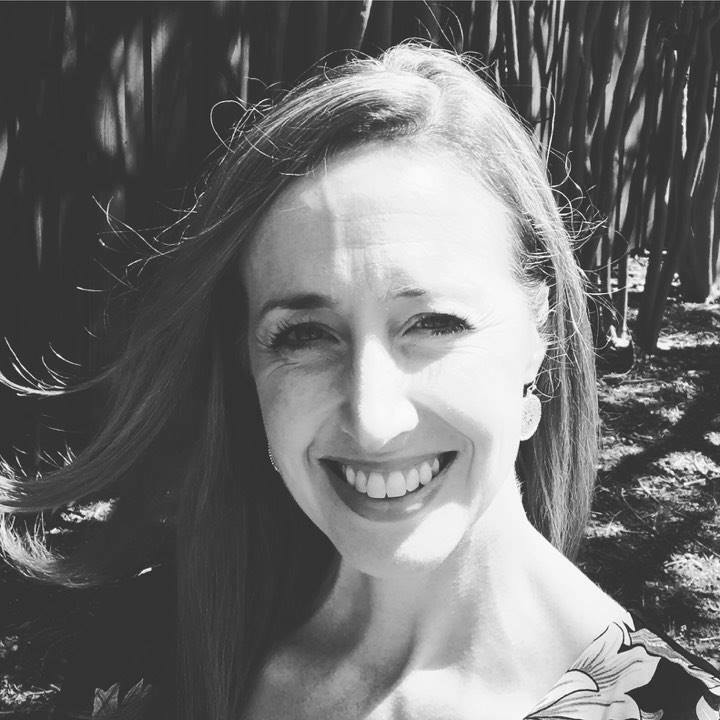 Rebekah Valerius is the mother of two imaginative girls who hope to one day major in “My Little Pretty Pony Studies.” She is obsessed with G.K. Chesteron and ballet. You can see more writing by Rebekah at www.alongthebeam.com.